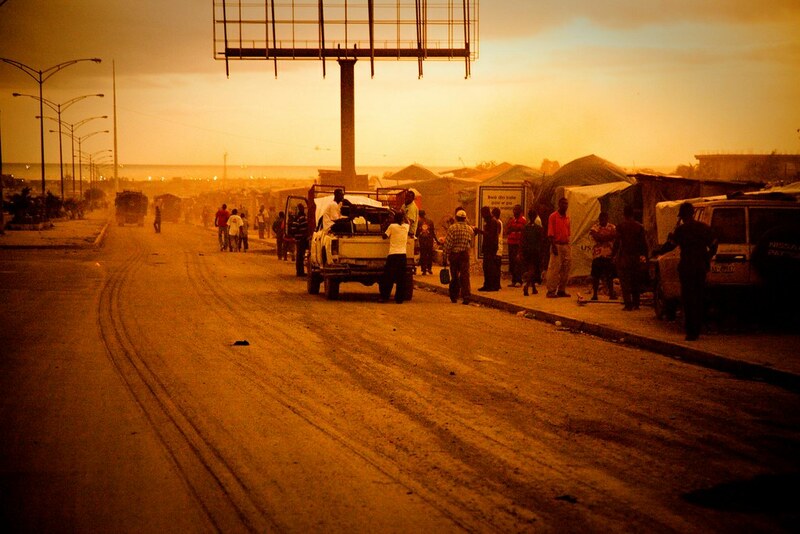 My journey to Haiti actually started a few years ago. A friend brought me to a bible study called Conduit so I could hear a presentation on the mission trip he had just arrived home from – the mission trip was to Jacmel, Haiti. This was in 2008. 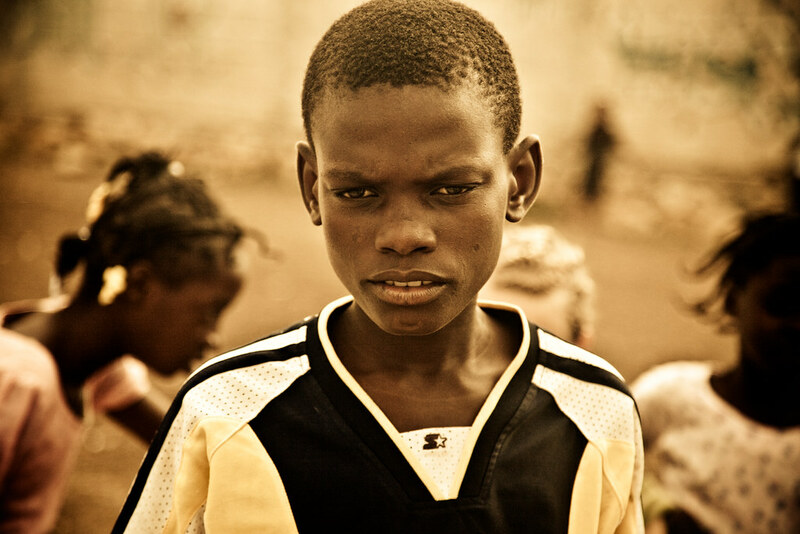 I kept attending the bible study, and every time they took another trip to Haiti I would ask for information and try to go – but each time the scheduling conflicted with work, or I didn’t have enough vacation time. In December of 2009 they announced there would be a trip going in April 2010. Something told me this was the trip. No matter what, I had to sign up and go on this one. So I did. I wasn’t sure how I was going to pay for it or if I would be able to take off work or anything – but I put down the first deposit and signed up. 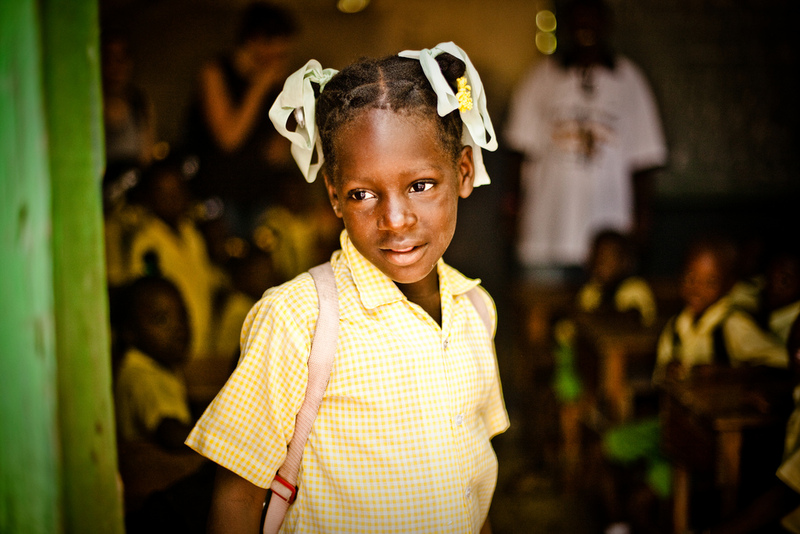 Then on January 12th, 2010 the earthquake hit, and Haiti suddenly needed more help than ever. It was hard waiting so many months after the earthquake to leave – I wanted to go help the next day. April 10th was slow in coming. I remember waking up at 3:30am that morning to catch my flight out of Nashville. 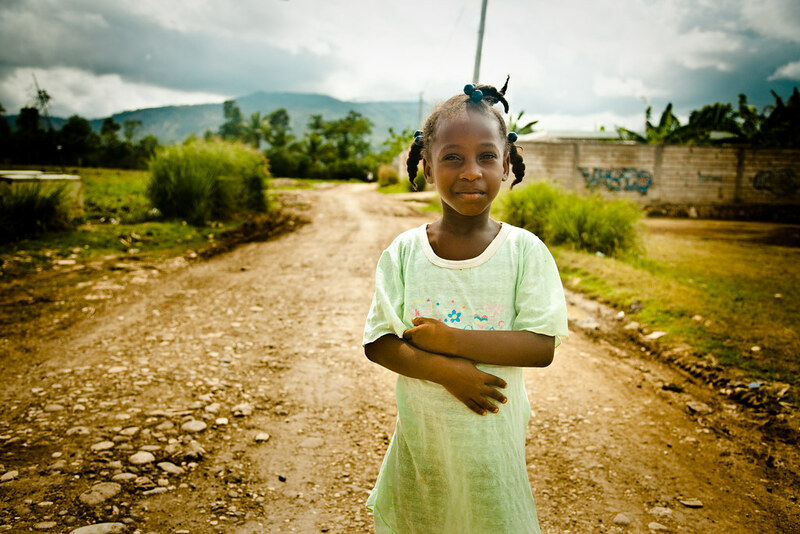 After a full day of travel in which I ended up taking a nap on the floor of the airport in Miami, we finally arrived into Port-au-Prince a few hours later than expected. 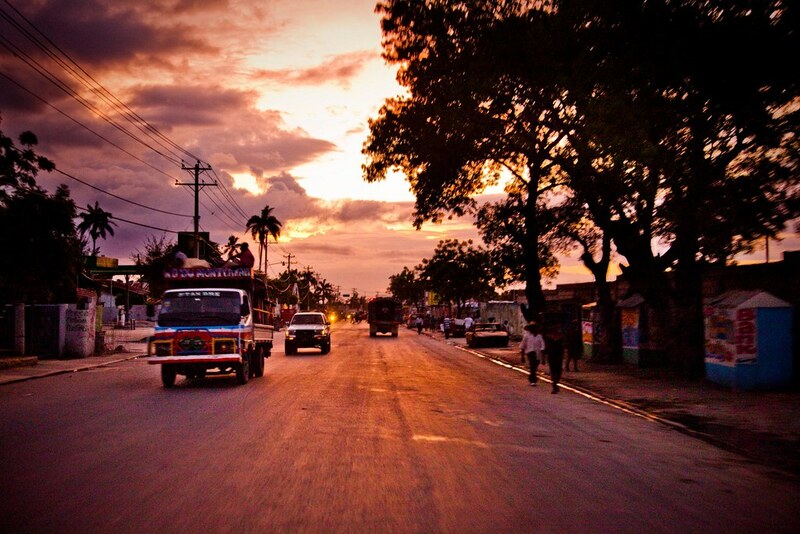 The sun was already setting when we embarked on our 3 hour drive through the mountains to Jacmel. Crammed in the awkward middle seat of the front of the van between the driver and a brand new friend, it was an uncomfortable and bumpy ride. We got to see a lot of the tent cities the earthquake refugees are living in, and we drove through the mountains and lush tropical landscape of Hispaniola. Even in the pitch blackness of night people were walking along the roads… men, women and children… without any light. We really take cars, bikes and flashlights for granted. We finally arrived at our hotel in Jacmel late into the night, had dinner, got our room assignments, and headed to bed. Or at least all the smart people did. I stayed up for a while to catch up with my good friend Ben who had already been in Haiti a few weeks and remained there until a few days ago. 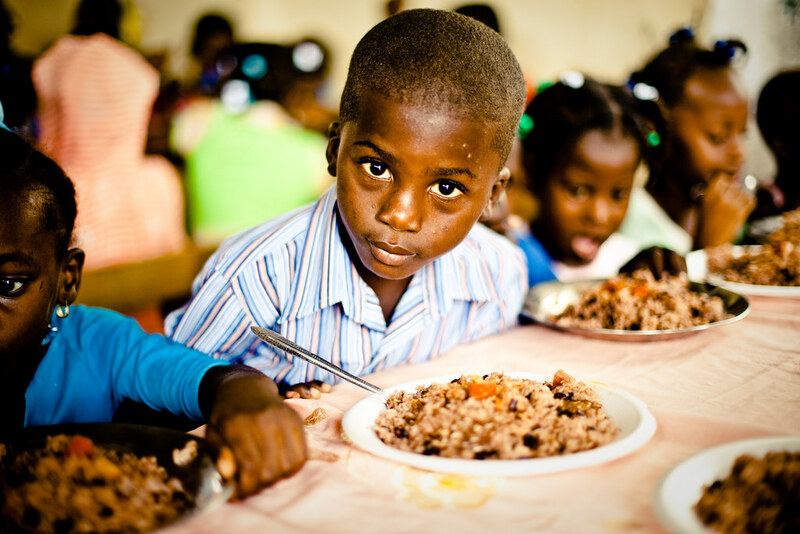 Our church and the organizations we partner with have a feeding center, a church and a child sponsorship program. A lot of what we did was centered around those three outreaches. 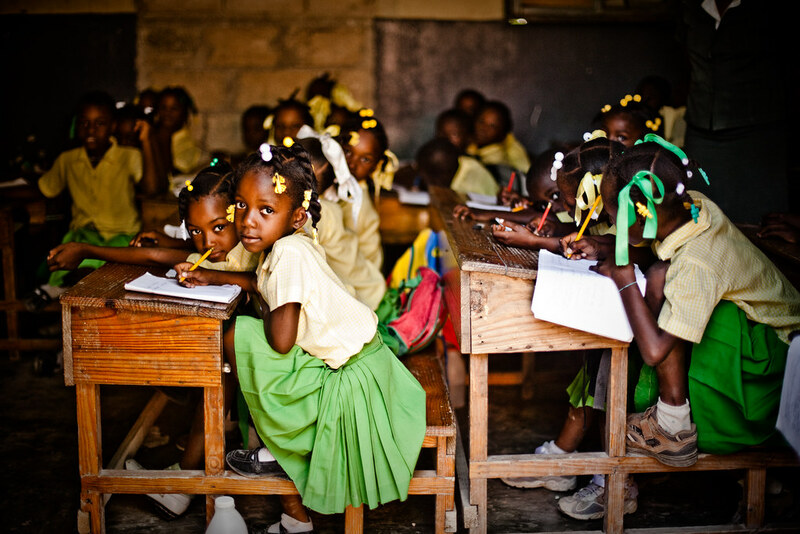 The first day we visited a school where a lot of the kids in our sponsorship program attend. We visited their dark, un-airconditioned classrooms and had a translator deliver messages of encouragement to them while we distributed toys, bubbles, bracelets, candy and more. 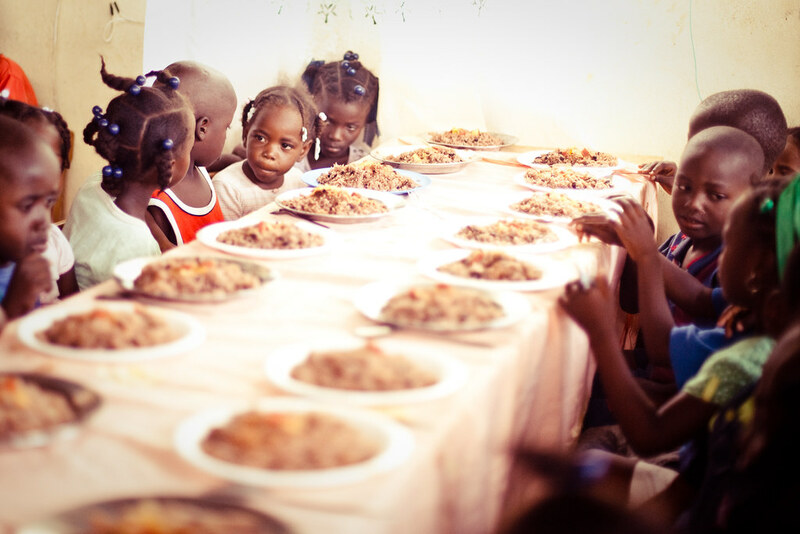 We also helped with the feeding program at the ministry center where we feed about 150 kids what is sometimes their only meal of the day. It was amazing to see that some of them even save part of their food to give to the kids outside who aren’t part of the feeding program. Most of our days were spent simply playing with the children. 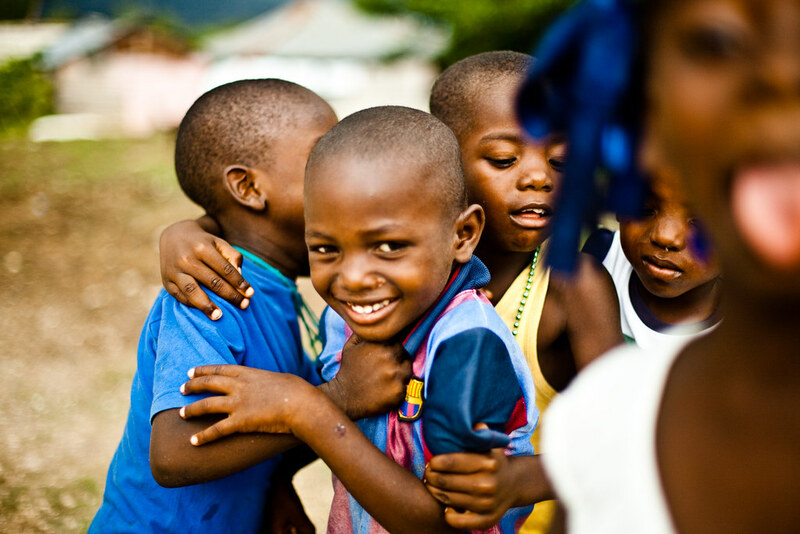 While most of them aren’t, a lot of them seem like orphans – you never see their parents anywhere in sight – and some of these children are very young… 1,2,3,4,5 years old… ages you typically wouldn’t see kids running around outside by themselves barefoot. They were all fascinated with my camera, and I taught them how to take pictures of each other with it. The second day I helped paint the house we are building for the pastor of the church we are partnered with there. It’s also going to house families in need. 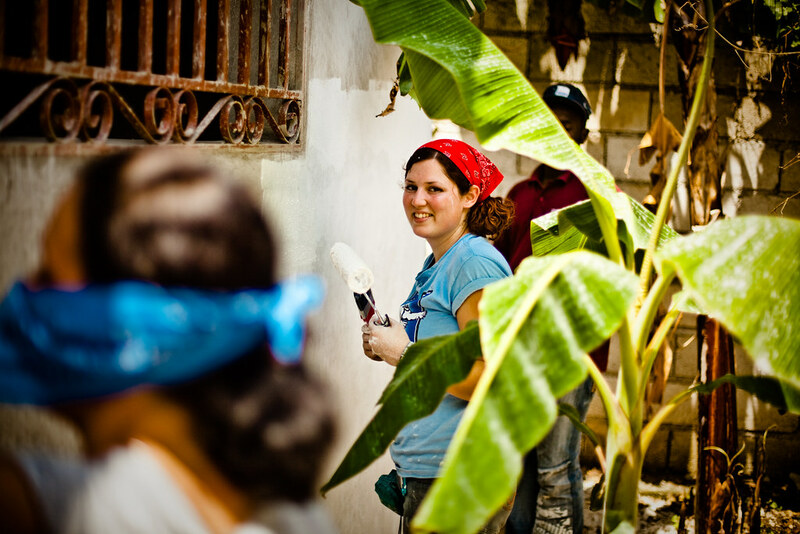 Painting a house with white paint is an interesting experience on an island in the Caribbean. Sunlight reflects off of white paint like it’s a mirror held up to the sun. You are practically blinded if you look right at it. It was super gratifying to see the end result of our day of painting… that’s why I love painting – instant gratification. 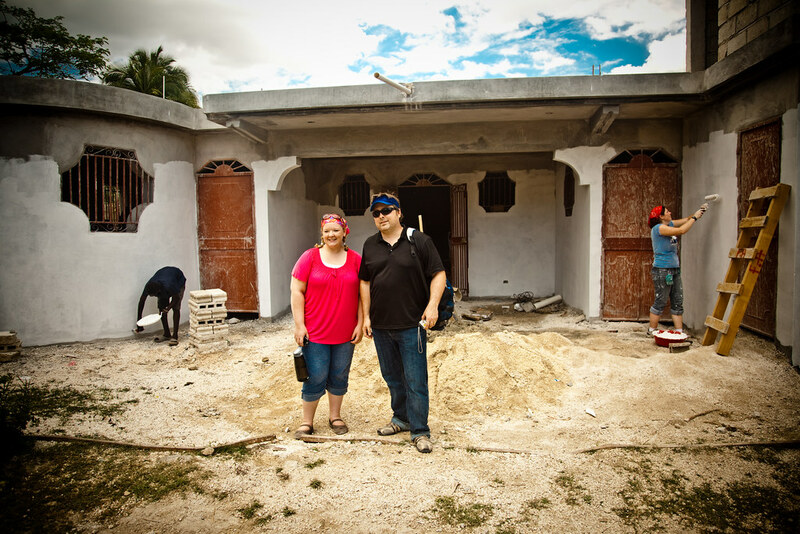 Theresa & Darren in front of the house we are building. Theresa heads up the child sponsorship program and Darren heads up Conduit Mission, the non-profit that sponsors the building, the relief efforts and the trips. Darren is also the best pastor ever.